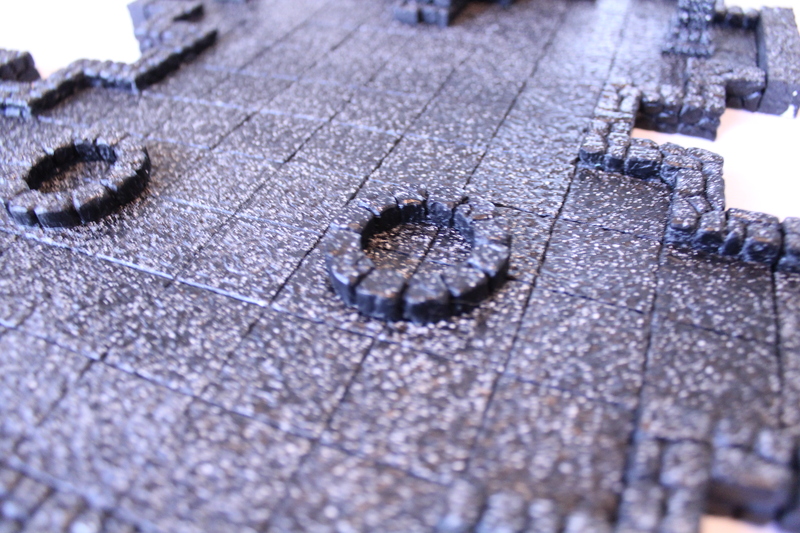 The magnets hold it together! 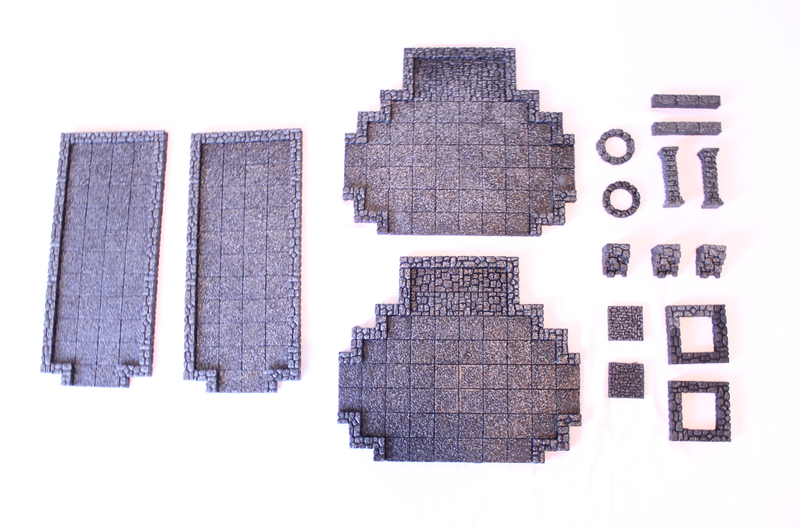 Each square is 5×5, and they vary in height from 2.5″, to 3″, to 3.5″. 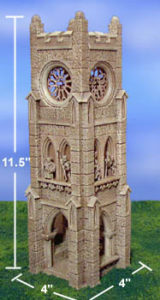 Order them painted or unpainted. 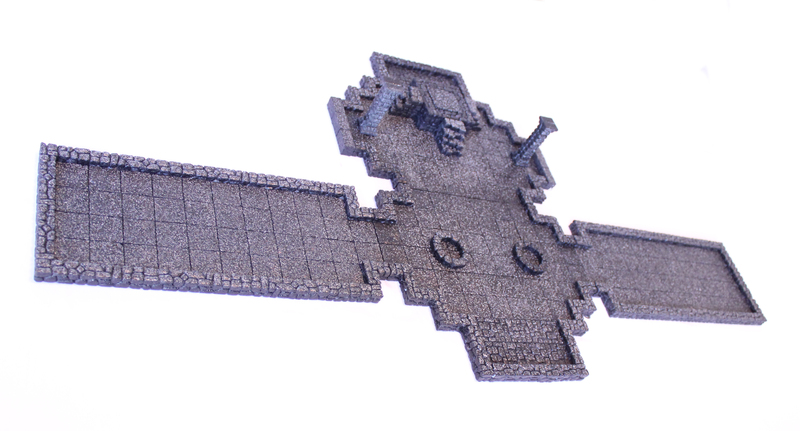 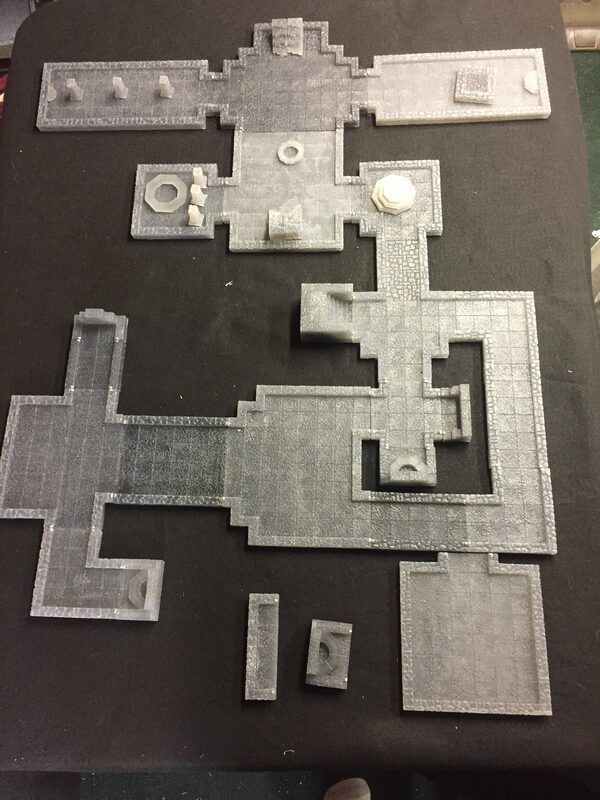 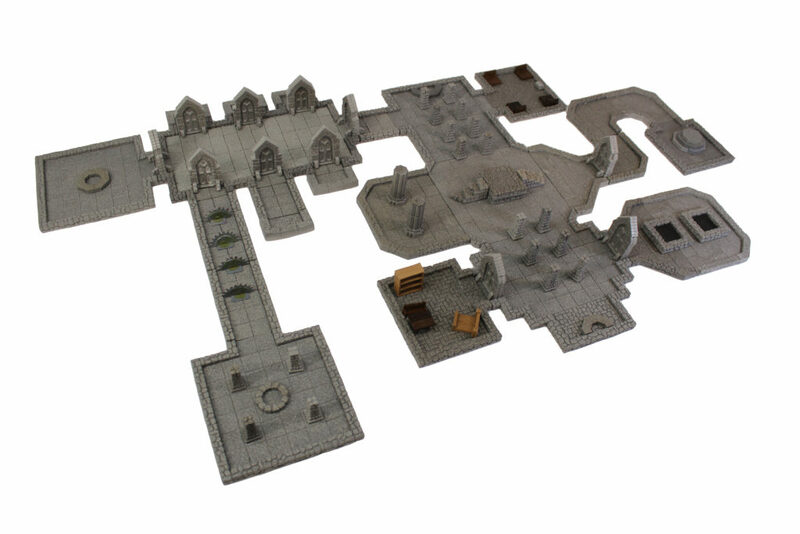 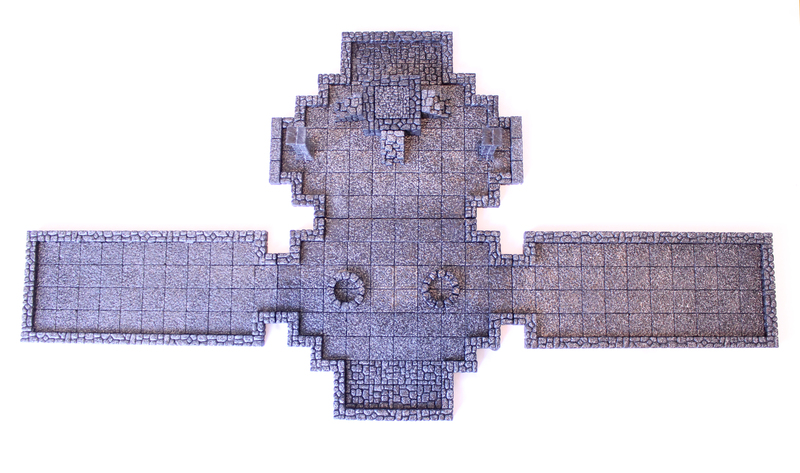 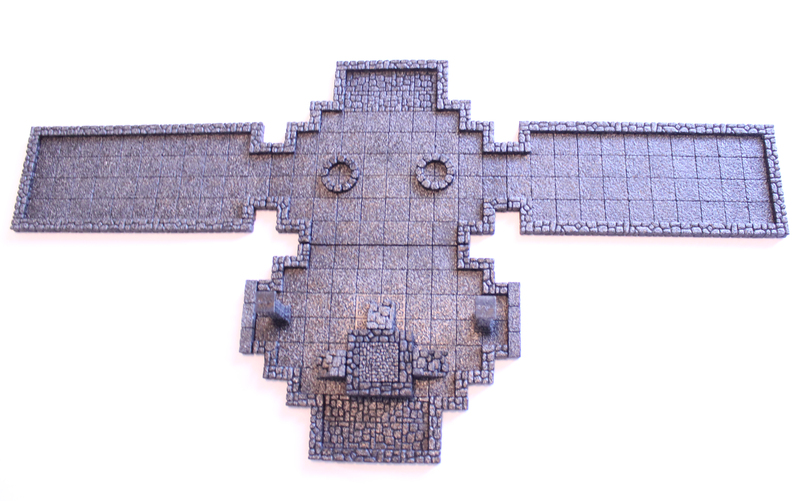 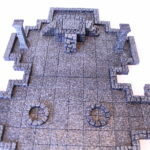 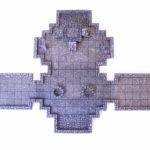 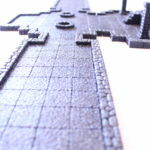 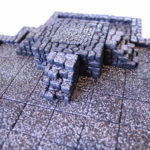 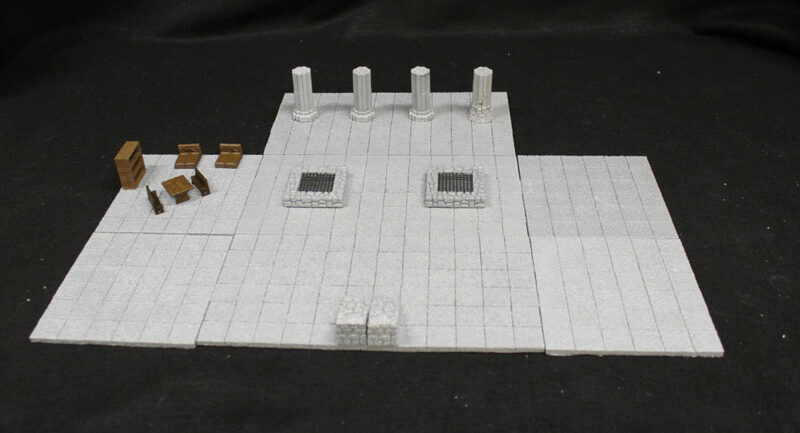 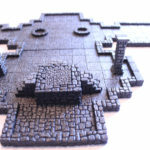 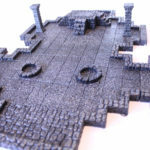 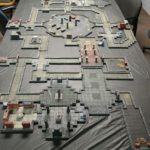 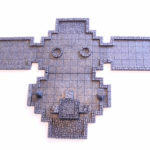 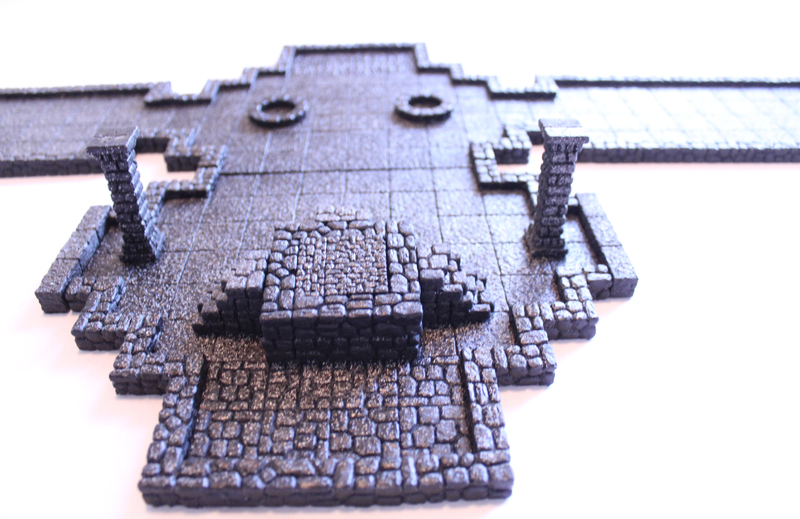 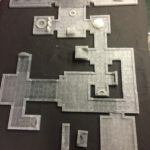 This Mega-Dungeon is available through our store. 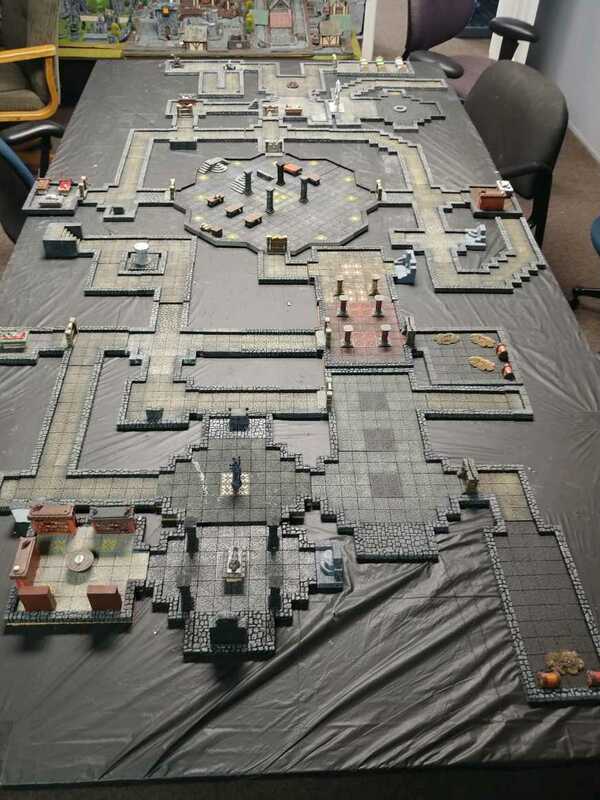 This photos is courtesy Eye of the Beholder Gaming Guild in Taylor, MI. 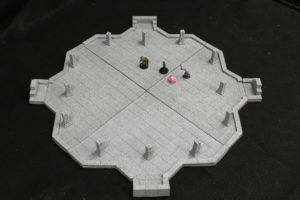 The Gladiators prepare for one-on-one battle! 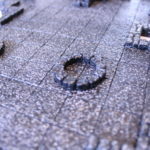 20″ x 20″ Magnetic Made from Grey Featherlight Resin. 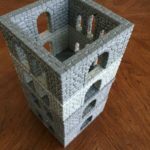 A fun and easy project for kids or adults! 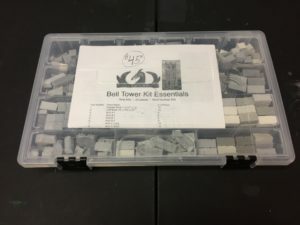 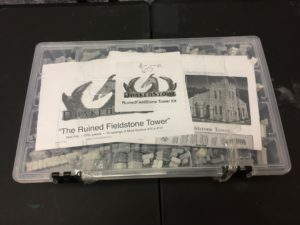 With this Bell Tower Kit, you can make your own tower! 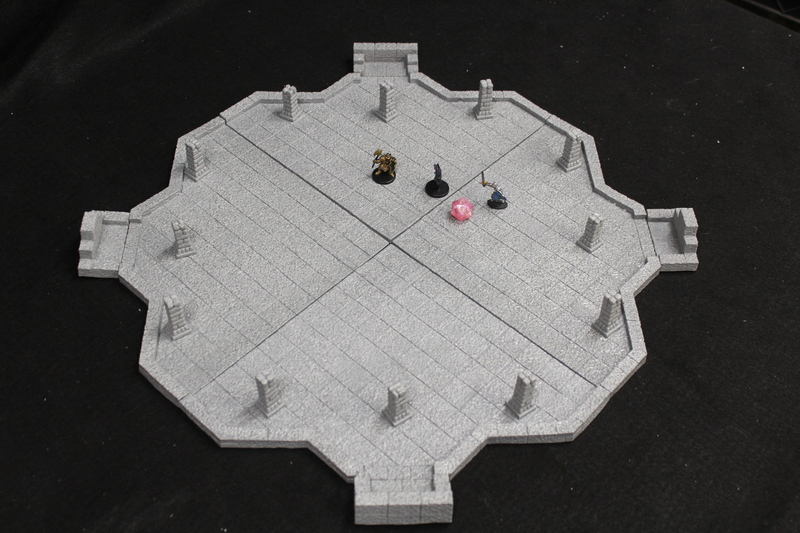 Comes with a sturdy compartmentalized tray. 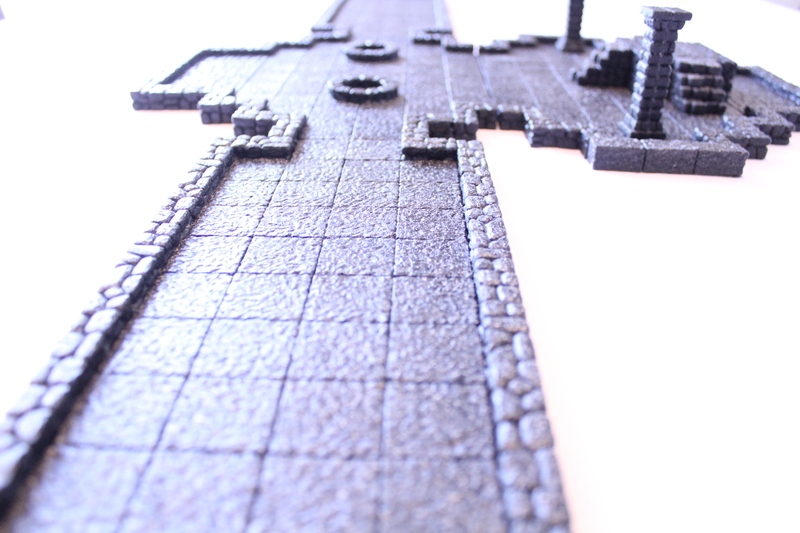 You’ll need Alleen’s tachy glue, Elmer’s school glue, E6000, wood glue or any glue you wish. Its recommended that you base your tower on a piece of foam or wood, but its not necessary. 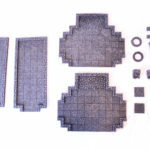 This kit comes in a sturdy, compartmentalized plastic tray, with a lid that snaps shut. 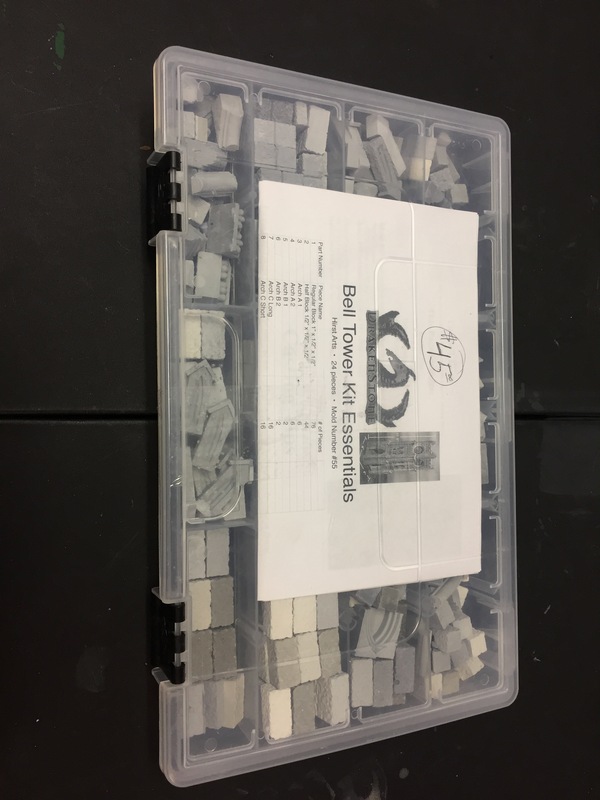 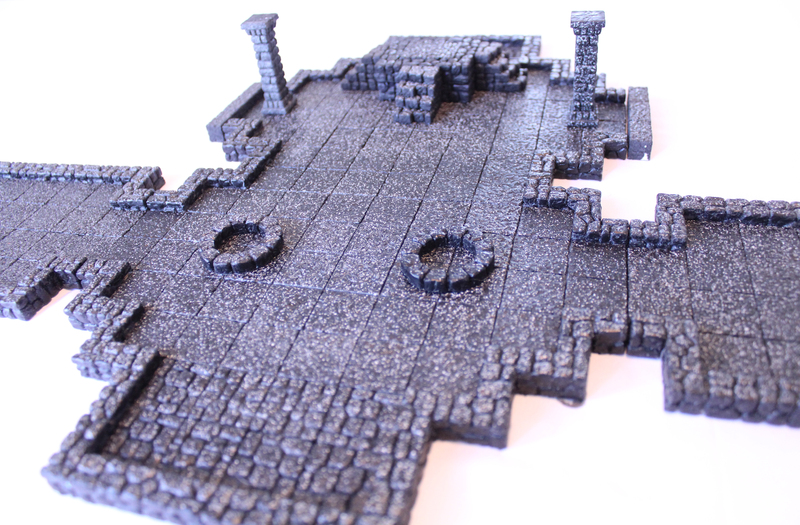 Your pieces arrive sorted and organized, along with detailed instructions and printed plans. 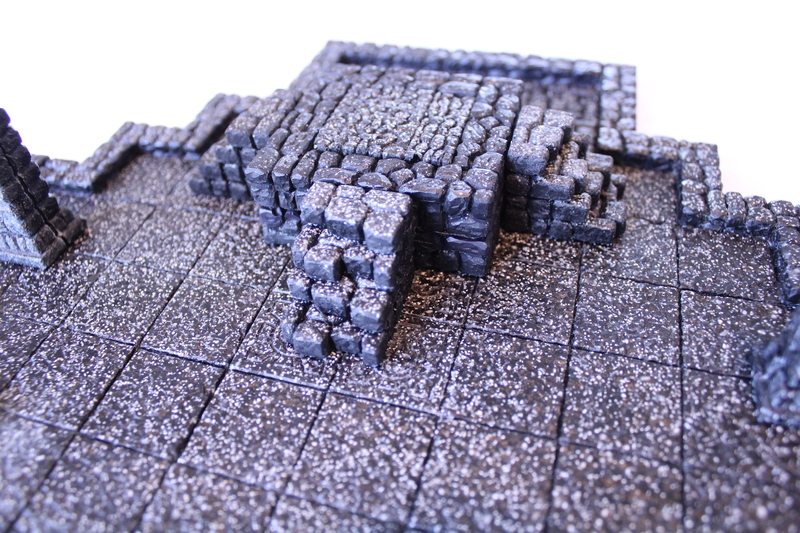 Each block is made of Merlin’s Magic grey dental stone, with subtle variations of color… resulting in a very natural look. 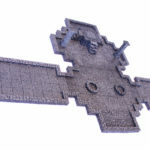 However, the material is paintable, should you decide to paint your finished project. 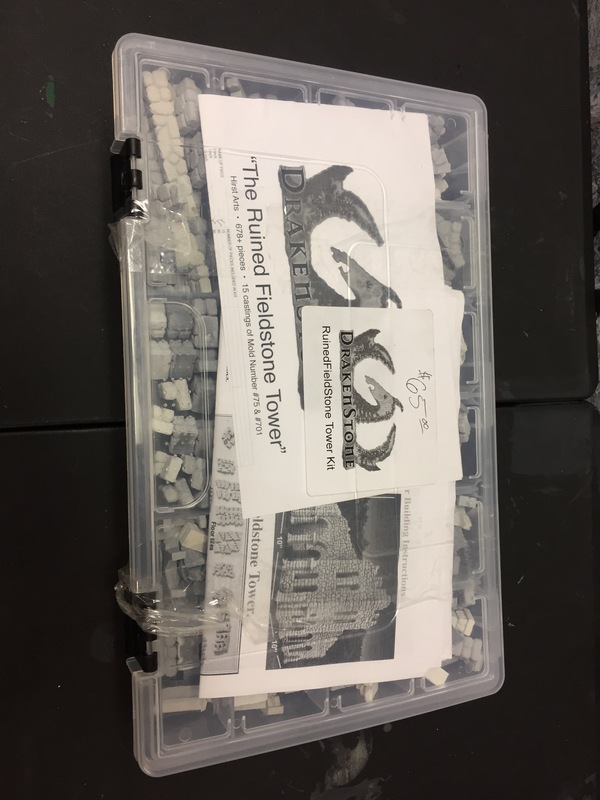 You’ll need Alleen’s tachy glue, Elmer’s school glue, E6000, wood glue, or any type of glue that you choose. 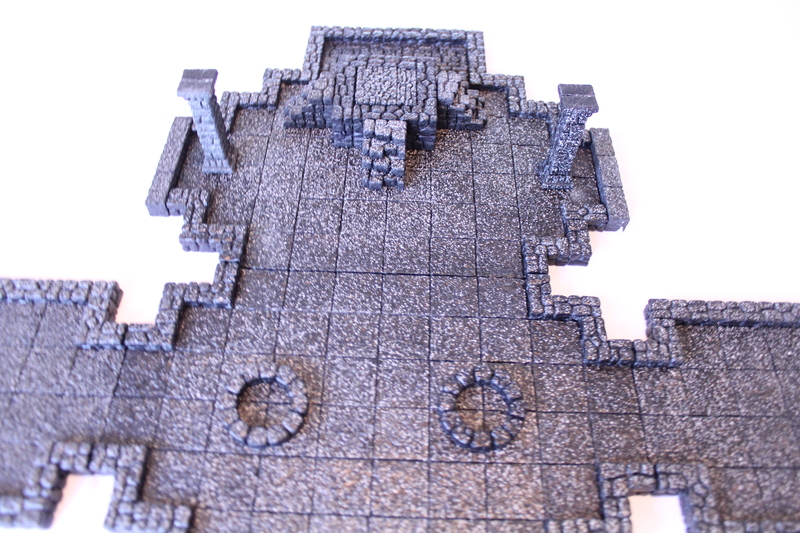 It’s recommended that you build your castle on a sturdy piece of Styrofoam or Wood.